Unarthodox is calling on you, amateur and professional artists, to participate in the F The Art World 2019 competition and win a chance to show your art to the world. This competition does not judge artwork on the technique and professional skill, but on the interpretation and depth of the subject matter. 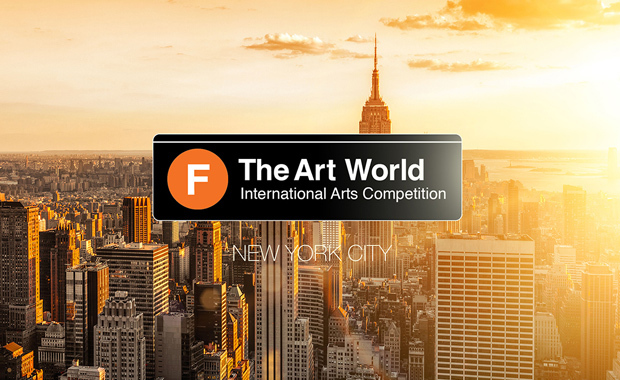 F The Art World is an annual art competition where fine artists, photographers, digital artists, street artists, and sculptors compete for a chance to be exhibited in New York City for an entire week! The theme for 2019 is “A Competition About Change“. A winner in each competition category will get the opportunity to exhibit their work in the group art show at the Unarthodox Gallery in Chelsea, New York City for an entire week. All other participants’ artwork will be displayed in a large projection during the opening ceremony. All winners will also be announced in the Unarthodox social media accounts, newsletter and both local and international media channels. In the event that any of the displayed artwork is sold, the artist receives 100% of the sale price. The exhibition and opening ceremony is scheduled for April, 2019. Unarthodox is a creative space that combines all of the arts to create unique interactive experiences. Submission fee is $32 for up to four images. The fee covers the cost of organizing and producing the annual competition, including all staff and advertising associated with the event.